A Turkish newspaper has shown German Chancellor Angela Merkel in full Nazi garb and Adolf Hitler’s moustache on its front page on Friday, calling her “an ugly aunt” as the row between Ankara and the EU escalated. “She-Hitler” (written in Turkish), read the headline from the Turkish daily Gunes ("Sun"), as Merkel was depicted standing in Nazi uniform and holding a gun next to the words "#Frau Hitler” (written in German). The newspaper, which supports the ruling AKP party founded by President Recep Tayyip Erdogan, accused Merkel of being the leader of “fascists” and inciting anti-Turkish sentiment throughout Europe, especially in the “German backyard” of Austria, Belgium and the Netherlands. "Having embraced the PKK and DHKPC, Germany continues to provoke all Europe against Turkey," the Gunes said, referring to Kurdish and left-wing groups banned in Turkey, which have allegedly found a safe haven on German soil. Erdogan was referring to measures taken by authorities of three German communities to prevent Turkish ministers from campaigning there for an upcoming constitutional referendum. Around 1.5 million Turkish citizens currently reside in Germany. “These comparisons of Germany with Nazism must stop. 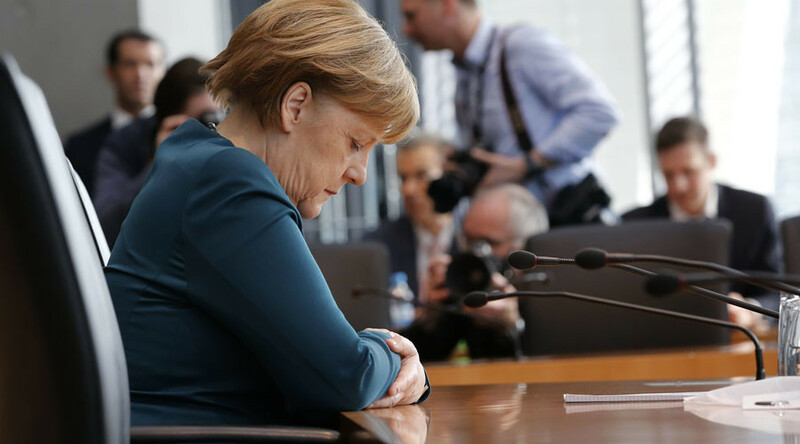 […] We will not allow the victims of the Nazis to be trivialized,” the chancellor countered earlier in March in the lower house of parliament (Bundestag). The German government has refused to give an official reaction to the Gunes’ front page, with spokesman Georg Streiter saying only, "We are not taking part in a game of provocation," as reported by AFP. 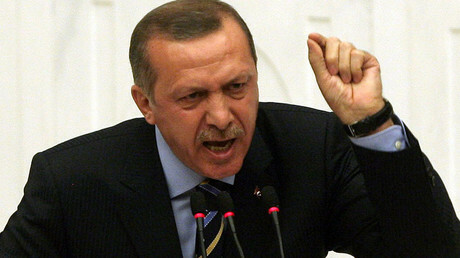 Erdogan is currently campaigning for a ‘yes’ vote in Turkey’s April referendum, which would give the office of the president the power to issue decrees, declare emergency rule, appoint ministers and state officials, and dissolve parliament. To win, he is relying heavily on support from the 5.5 million Turkish citizens living abroad. Critics of the move say the success of the referendum would abolish the country’s system of checks and balances.